Changes to the Newell Rd-Cambridge Rd intersection are under consideration that could restrict the way drivers enter and exit it. 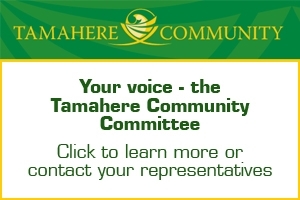 A consultation meeting for locals is to be scheduled shortly but meantime discussion documents on the proposal are available on Tamahere Forum. NZTA advises motorists of night-time detours on the Cambridge section of the Waikato Expressway over the next few weeks while maintenance is carried out. 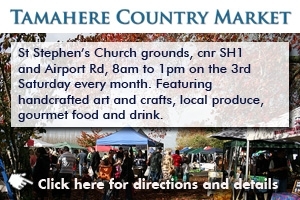 The 6pm to 6am closures are scheduled from Sunday to Thursday nights, November 26 to 30, and again from December 3 to 7. Contractors will be working on the bridge rails at the Cambridge Rd, Peake Rd, Swayne Rd and Thornton Rd overbridges. Waikato Expressway pile driving will restart from Thursday for the bridge to span State Highway 1 at Cherry Lane. Six piles will be driven 35 to 40 metres into the ground at the western abutment to complete piling at the East/West Link Bridge. More disruption to traffic at the State Highway 1 – Newell Rd intersection is expected as reconstruction of the crumbling culvert under SH1 winds up. More than $769,000 worth of repairs of the colourfully named Dreadnought Culvert began just over a week ago and is expected to finish, depending on weather, in about a week’s time. A large amount of heavy machinery, including a crane, has been needed for the reconstruction, requiring Newell Rd to be closed off at the intersection with SH1 as it was moved in.